Haaa! Now THAT’S how you show up to promote a movie (“Death Wish”)! Of course, Jimmy got him to the couch to talk about it later. 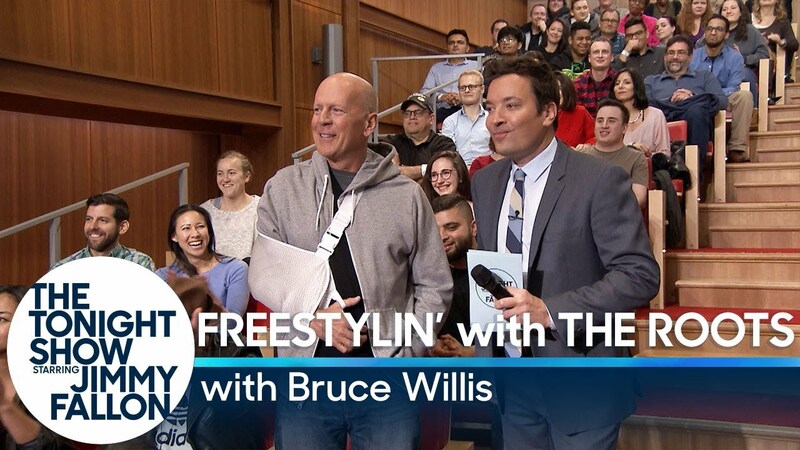 But check out the ‘surprise’ audience participation by Bruce and the resulting song The Roots created on the spot with Willis’ input before that happens.